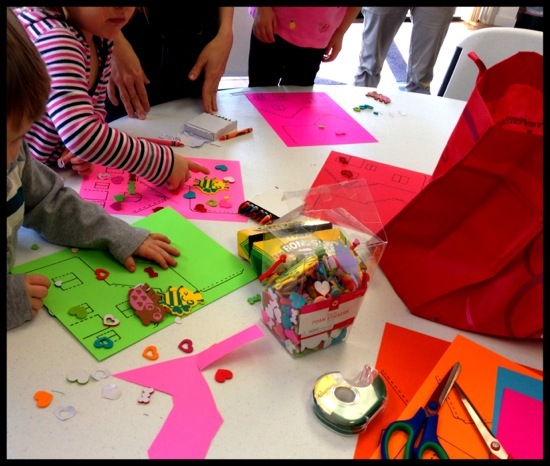 You are here: Home / Activities / Let’s Build a Town! Need to bring some excitement to your set of blocks?? 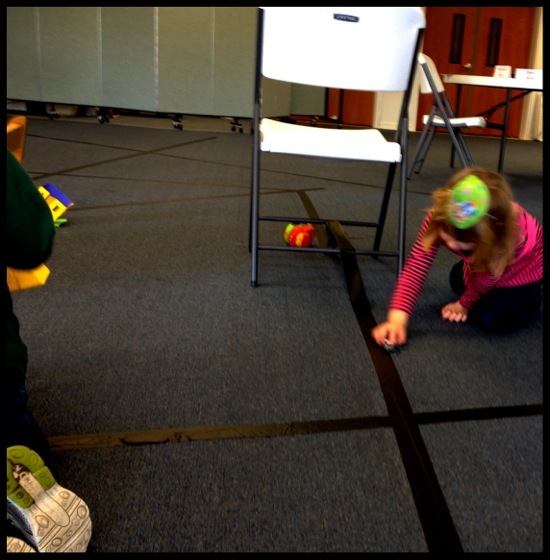 Black masking tape is a fun and easy way for kiddos to build their own roads and towns. Added bonus — very little clean up!! We love the Melissa and Doug Town Blocks Wooden Play Set — it comes with cars, trees, buildings, and road signs too. 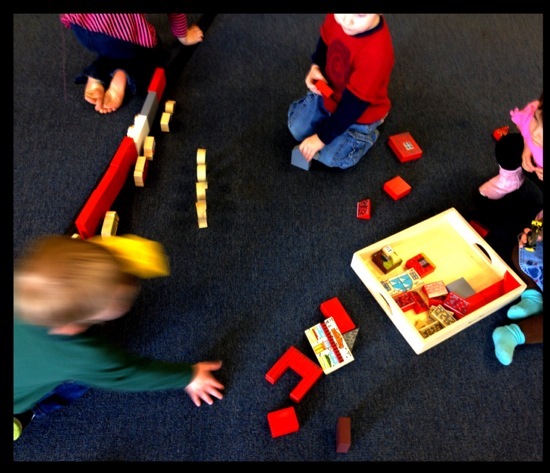 Add a roll of masking tape, and the kiddos can be happily entertained for a loooooong time! I love how some of the roads went up and over chairs — very cool! Want to add some houses of your own?? 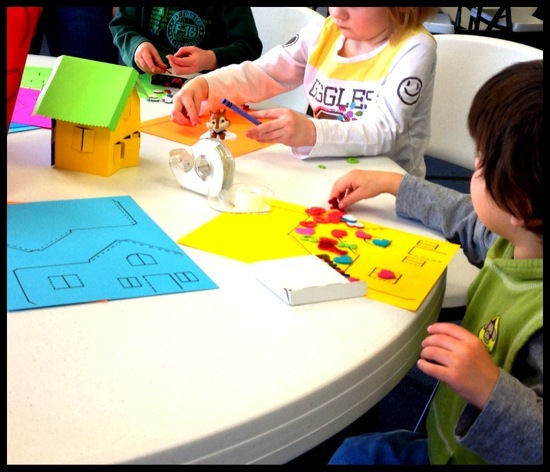 Print out the free template, invite the kids to color and decorate, then cut out and fold up into paper houses. A BIG thank you to a local MOMS® club for inviting me to speak at their meeting — I had SO much fun playing with all of you!!! Thanks for coming to speak to our MOMS Club we had a GREAT time!!! 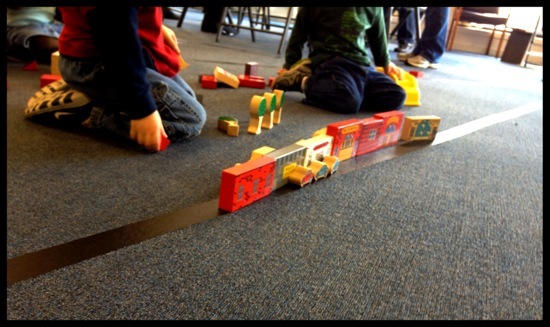 Loved the cardboard town and masking tape road idea! Thanks!!! Our roads go up chairs and tables too when we make them. Fun time! Your town looks very inviting!